This week, the El Dorado County Sheriff’s Office was informed about a protest which was being planned at the Union Mine High School Football game tonight, August 31, 2018. The protest was due to a recent arrest which occurred on school grounds. Threats of a protest increased through out the week, with rumor that some expressed the desire to incite violence, including bringing firearms to the school. EDSO School Resource Officers investigated the rumors and found no conclusive evidence to corroborate these threats. The Sheriff’s Office planned on staffing the event tonight with more personnel, prepared for any protests. We worked closely with Union Mine High School to ensure the safety of the students on our campuses. The school also provided information about the protests to Douglas High School who was playing against Union Mine tonight. Douglas High School decided to cancel the game after hearing about the threats of protest. At this time, the El Dorado County Sheriff’s Office is not aware of any threats to the community or schools. On August 21, 2018, at 0215 hours, the El Dorado County Sheriff’s Office responded to a call of a man that was found with a gunshot wound. The reporting party alleged that the man was found on the side of the roadway and driven to the parking lot of the El Dorado Savings Bank in Georgetown. The victim was transported by air ambulance to a nearby hospital with life threatening injuries. After 5 days in the hospital, the victim succumbed to his injuries and was pronounced deceased on August 26, 2018. The victim has been positively identified as Miguel Cazares Robles, a 30 year old from Puerto Vallarta, Mexico. Investigation into the incident by EDSO Detectives found that the shooting took place at a marijuana cultivation site near Georgetown, Ca believed to have ties to a Mexican drug cartel. 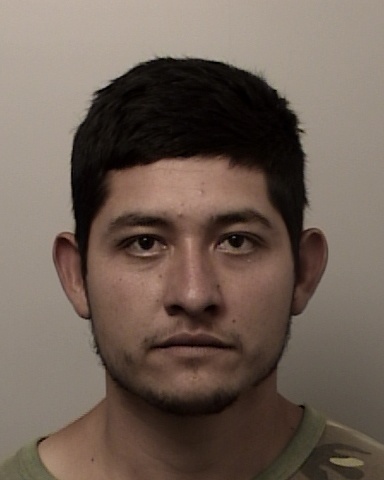 EDSO Detectives have been able to positively identify one of the suspects as Jesus Martin Munoz Castro, a 23 year old out of Sinaloa, Mexico. Jesus is a Hispanic male, 5’10” tall and 150 pounds with black hair and blue eyes. Detectives are still working to identify multiple others involved and it is not believed that Jesus, or the others, are still in the area. EDSO had previously asked for assistance in locating Jacob Sota. Jacob was found and interviewed regarding his involvement in this investigation. An arrest warrant has been issued for the arrest of Jesus Castro. Anyone with information regarding his whereabouts should contact EDSO at (530) 621-6600. The attached photograph is of Jesus Castro.